BDU’s CEO Lisa Peskin recently sat down with Mark Iorio, host of “Rainmaker’s Roundup,” a weekly live segment featured on RVN TV. Lisa and Mark discussed the psychology behind sales, as well as the tools and systems necessary for success. They also talked about how to improve your sales team’s performance, how to fix common sales mistakes and more. 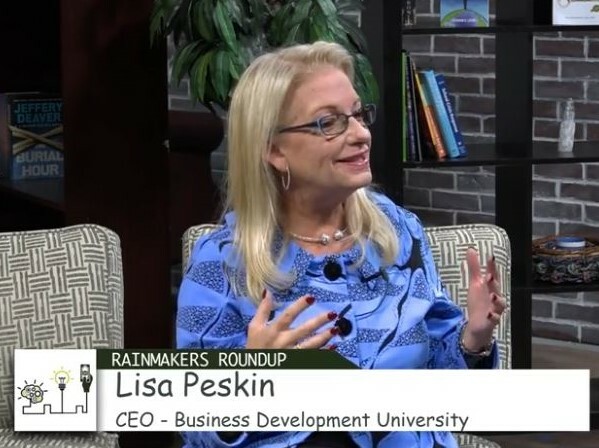 Watch Lisa’s “Rainmaker’s Roundup” interview now! Want Lisa and BDU to help you achieve, and exceed, your sales and business development goals? Contact us to learn more!